it seems tsc support in Xen has improved with version 4.0 and with improved CPU support in Sandy Bridge+ platforms. 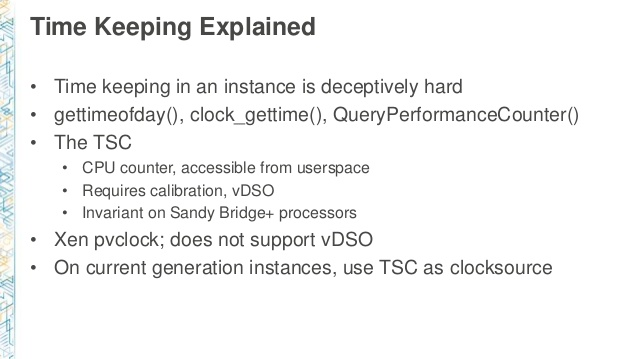 Modern EC2 machines should be okay with tsc. Check Xen version using dmesg | grep "Xen version". 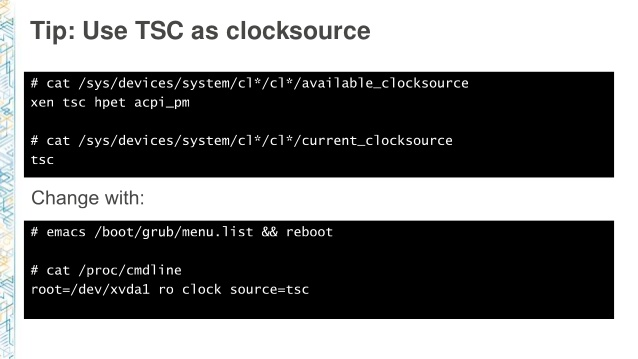 Amazon recommended the tsc clocksource already in re:Invent 2015 (https://www.slideshare.net/AmazonWebServices/cmp402-amazon-ec2-instances-deep-dive). I'm not yet running to production with this, but the situation doesn't seem as bad as implied by packagecloud. This entry was posted in AWS, Cloud, Computer, Hardware, Linux, Murmuring, Network, OS, Software and tagged amazon, aws, clock, clock_gettime, cloud, counter, ec2, gettimeofday, linux, source, stamp, time, tsc, xen on March 11, 2017 by Gea-Suan Lin. 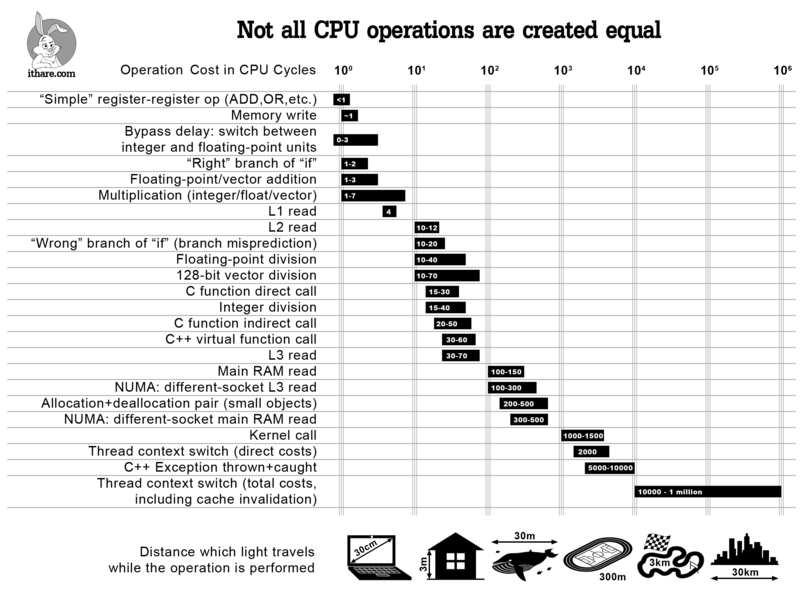 This entry was posted in Computer, Hardware, Murmuring, Programming and tagged clock, cpu, cycle, graph, infograph, instruction, operation, performance, speed on September 14, 2016 by Gea-Suan Lin.